criminal news - Crimes, accidents and more from all over the world. Notre Dame Cathedral’s huge wooden rafters were probably engulfed by flames before the roof collapsed onto the stone vaults below, historical novelist Ken Follett has said. The building’s spire and much of the roof were completely destroyed in the fire which continued to rage through Monday night. Best-selling author Mr Follett, who has researched cathedrals extensively, told the Press Association: “The only thing that’s flammable in a cathedral is the rafters in the roof, but they are huge pieces of wood – tree trunks – and they are old and they are very dry. “That’s what must have burned first, because nothing else in the structure is really flammable. “When the roof timbers burn then the roof itself falls, it collapses without support. Mr Follett, whose book The Pillars Of The Earth is about the construction of a cathedral, said the building has been “the centre of Paris” since it was built in 1163. He described it as having a “place in the hearts of Parisians, French people and a lot of Europeans”. The author expects the cathedral will be rebuilt, adding: “I imagine that the French will rebuild this cathedral and if there’s anything left they will incorporate what’s left. Ben Derbyshire, president of the Royal Institute of British Architects, described the blaze as a “tragedy”. “The news of the tragedy this evening is of immeasurable significance worldwide,” he said. 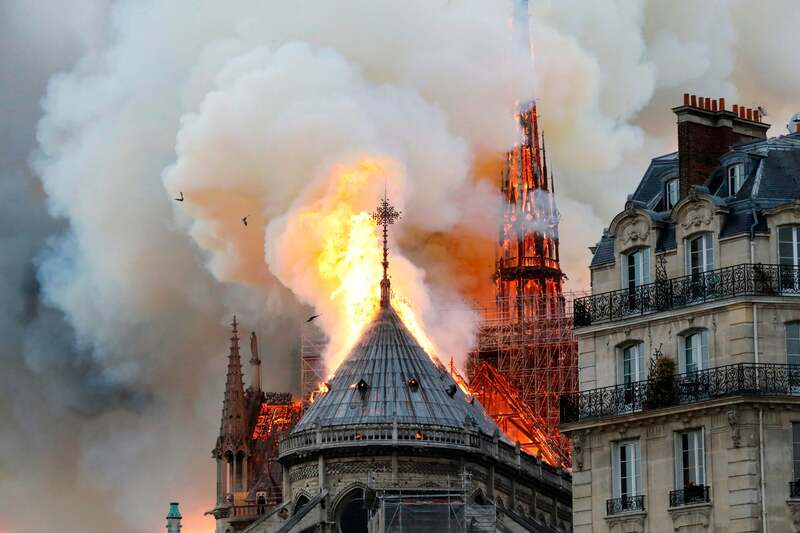 “The loss of the roof and spire of Notre Dame, and possibly the stone vault too, is an irreplaceable blow to the heritage of French Gothic architecture. Latest crime news stories around the world including murder, stabbings and shootings, burglary, armed robbery, white collar crime, and other criminal news headlines. Our comprehensive coverage of the stories can include matters relating to police, courts. Breaking true crime news © 2019 All Rights Reserved.